A new survey conducted by two conservative groups reveals proven hostility toward Christianity in the U.S. The joint study from Liberty Institute and the Family Research Council (FRC) records up to 600 incidents of hostility toward religion, most of which have occurred within the last ten years. For example, a Christian couple was fired as apartment complex managers and forced to move because a painting with a Christian reference was displayed in their office (see earlier story). Also listed is a student who was told he could not wear a t-shirt to school because of its Christian message. Liberty Institute attorney Justin Butterfield tells OneNewsNow what his group hopes to accomplish with the study's findings. "We want to raise awareness of the issue. A lot of people think that hostility because of people's religious beliefs and attacks on religious liberty are things that happen elsewhere in the world, not in the United States," he notes. "We just want to show that it actually happens with increasing and alarming regularity here in the United States." Liberty Institute President Kelly Shackelford and FRC President Tony Perkins are presenting the study before the Republican Party Convention platform committee to raise that awareness. "It's something that has gone under the radar, and we want to bring it up and point out that this is an issue and a concern that's affecting more and more Americans each year," Butterfield adds. 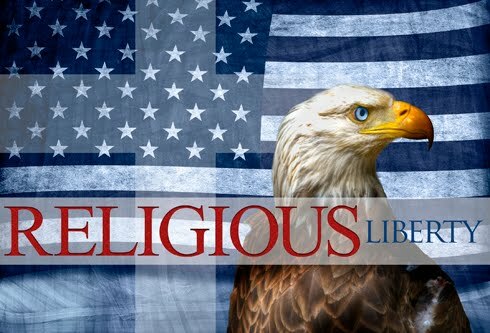 The Liberty Institute further points out that religious liberty is "facing a relentless onslaught from well-funded and aggressive groups" who are using whatever means available to suppress or attack religious freedom.